Charlie Hunter paints drippy portraits of rotting American infrastructure in Bellows Falls - a small town with good coffee on the banks of the Connecticut River in Vermont. 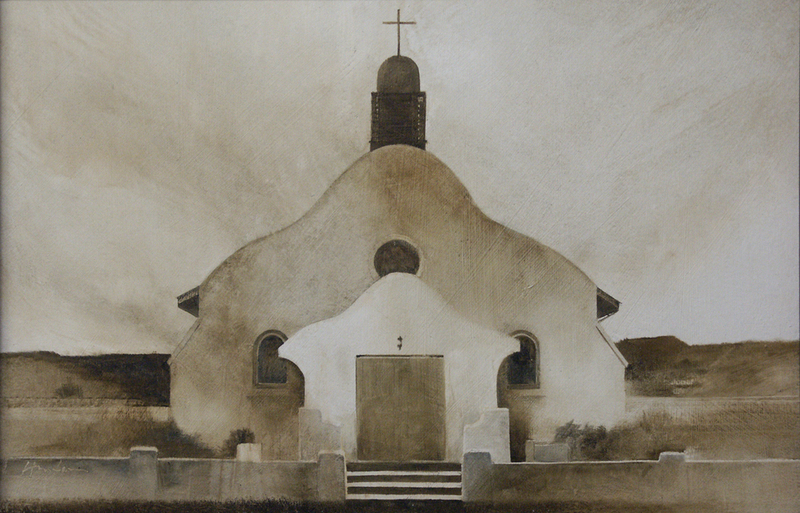 Hunter is the winner of multiple awards at plein air events, has been featured in recent issues of PLEIN AIR and BETTER HOMES & GARDENS and of late has been receiving wide acclaim for his distinctive, almost monochromatic works. In the recently expanded ALLA PRIMA II, Richard Schmid features a page of Hunter's drawings (including a preliminary sketch of "Cumbres & Toltec 487", a painting in this show), and opines “If it is within the realm of human evolution to allow one individual to possess the gift of a natural sense of design, then Charlie Hunter is certainly the lucky winner. No master of the pure line can surpass what Charlie, almost matter-of-factly, does when he takes pencil in hand.” Hunter holds a degree in Art from Yale University. Curiously, his cats remain entirely unimpressed.